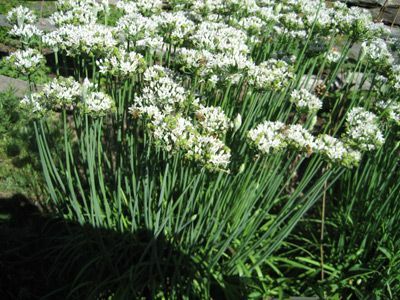 The common names for members of Allium include Wild onion garlic chives, and golden garlic. They are usually grown as a hardy bulb by gardeners. Allium typically flowers from in the spring or summer, with species variations. Giant Chives are also members of Allium, and can be grown by similar methods. The Allium genus contains the plants Wild onion and garlic. Members of the genus vary widely in height and can grow from between 15 cm and 150 cm in height. Allium has balls of blue, pink or purple flowers. Due to variations in plant height they have many uses in the garden, and as well as the herb garden they are often used as edging and in borders. Allium triquetrum (Three cornered Garlic) photograph by A.Poulos. Common Names: Chives, Garlic, Wild Onion, Onion, Leek. Height: 4 to 60 inches (10 to 150 cm). Native: Large genus of approximately 750 species, most of which are native to temperate regions of the Northern hemisphere. But some species also derive from South America, and tropical Africa. Flowers: Species dependent: Mainly spring or/and summer. Some species in the autumn. Flower Details: White, yellow, blue, pink. Oval. Globular. Rounded blooms. Foliage: Usually straight. Linear. Flat. May be evergreen, but many species die away from the tip. Plant/Sow Outside: Usually grown from Allium bulbs as hybrid varieties will not grow true from seed. Bulbs: Smaller species: 3 to 6 inches (8 to 15 cm) deep; Larger species: 10 inches (20 cm). Autumn. Space smaller species 4 inches (10 cm) apart, and larger ones at a distance of up to 12 inches (30 cm). Seeds: Germination: two weeks to one year. Mix seeds in a moist growing medium, place in a freezer bag, then stratify by refrigeration for four weeks in the dark. Seeds should then be sown into flats and kept in the light, at 57 to 60°F (14 to 16°C), for one year. Transplant outdoors in the autumn. Requirements and care: Full sunlight or partial shade. Good drainage. Supply compost. Soil pH 6 to 7. Provide a spring feed. Deadhead to prevent spreading. Propagate: from offsets once flowering has finished and leaves have died back. 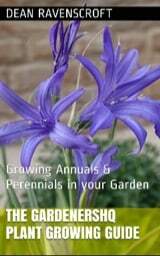 It is best to plant small Allium bulbs at a depth of 9 to 15 cm and larger ones at a depth of 20cm, with a spacing of 10 cm for smaller species and up to 30 cm apart for larger species in the autumn. Wild onion, garlic and similar species prefer partly shady conditions or full sunlight. The soil should be well drained, well composted and have a pH between 6 and 7. Allium requires between 2 weeks and a full year to germinate. When starting Allium species off from seed indoors, the seeds should be imbibed in the fridge for four weeks in the dark, then removed to the light and kept at 14 to 16 degrees celsius in flats for a year. They should be transplanted out individually in pots in the autumn. 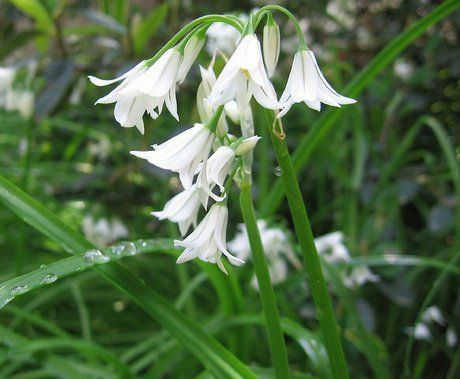 Garlic, Wild onions and their relatives are easy to look after, they should be fertilised each spring, and dead flowers removed to prevent them becoming a pest.